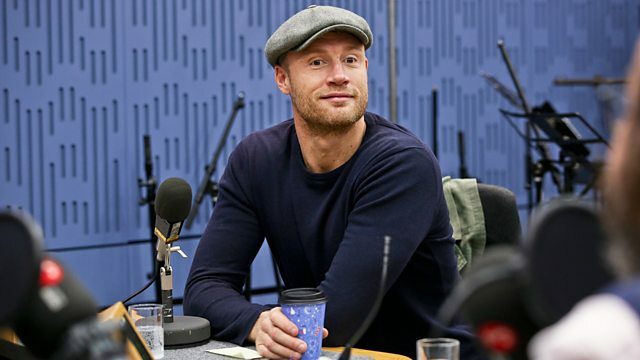 Clive Anderson and Nikki Bedi are joined by Freddie Flintoff, Gloria Obianyo, The Hairy Bikers and Ben Miller for an eclectic mix of conversation, music and comedy. With music from Mutual Benefit and Jazz Morley. 'Do You Know What ? – Life According to Freddie' is available now. '100, 200, 300 Milligrams' is at Tristan Bates Theatre, London on 16th and 17th November. 'Antony and Cleopatra' runs at the National Theatre, London until 19th January. 'The Night I Met Father Christmas' is available now. 'British Classics' is available now. 'Thunder Follows the Light' is available now on Transgressive Records. Mutual Benefit are playing at Brudenell Social Club on 3rd November. 'Disconnected' is available on 9th November on Jazz's own label. Jazz is playing at House Of St Barnabas, London on 27th November, Deaf Institute, Manchester at The Deaf Institute on 7th and Camden Assembly, London on 13th December.